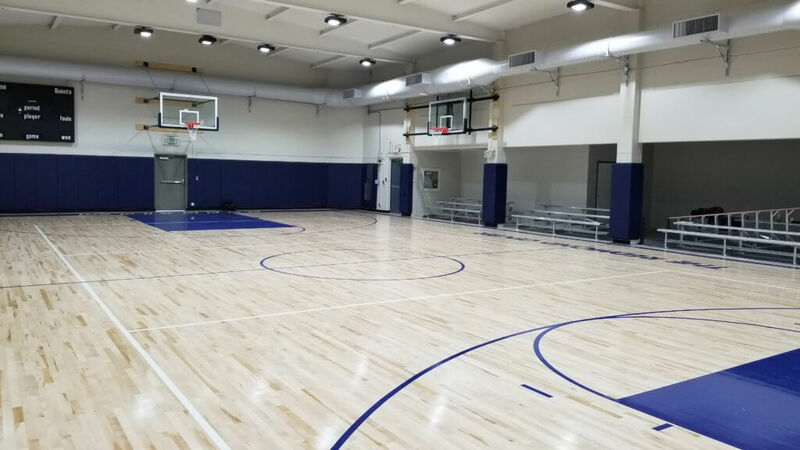 Gymnasiums have always been among one of the best locations to replace archaic Metal Halide Lighting. With the inability to shatter a bulb with a ball safety levels increase. Increased light levels are delivered to the playing floor where it’s needed. For K-12 schools, energy consumes a significant portion of the overall budget. Reducing this expense allows for reallocation of these funds to more critical areas. For higher education, LED lighting adds a clean, modern appearance to any campus. Because of the added reliability and product life (20 yrs) maintenance is significantly reduced.